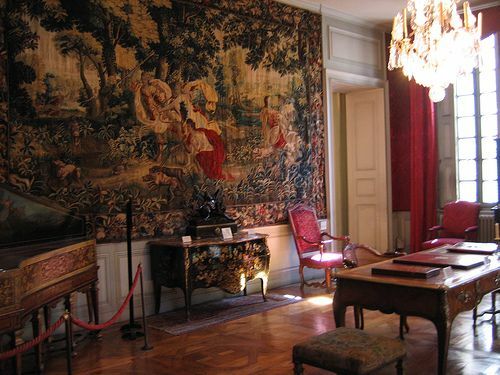 The Museum of Textiles and Decorative Arts delves into the history of textiles over the past 2000 years, throwing light on the Lyon silk trade and production going back to the Renaissance period. The Museum of Textiles and Decorative Arts delves into the history of textiles over the past 2000 years, throwing light on the Lyon silk trade and production going back to the Renaissance period. On display are Pieces Coptic tapestries, Persian rugs, Byzantine and Muslim fabrics, objects from ancient Egypt dating back to BC, and silks from Spain and Italy. It also has a rich collections of decorative objects, and exhibits fine collections of 15th and 16th century Italian Majolica, Middle Ages and Renaissance tapestries, silverware from 1960 to modern day, and a collection of antique clocks.